We are providing Bitumen Sealing Compounds, which is made using excellent quality raw materials and the latest technology. The Bitumen Sealing Compounds provide the perfect solution to waterproofing and have the capacity to stand the expansion without cracking. 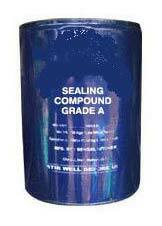 Moreover, the Bitumen Sealing Compounds are available at the market leading prices.